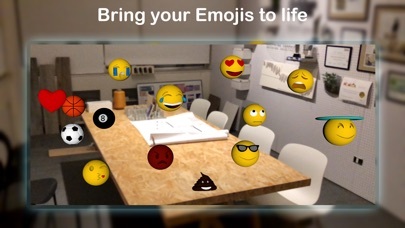 Type anything you want in 3D and place your text and/or animated emojis all around you. 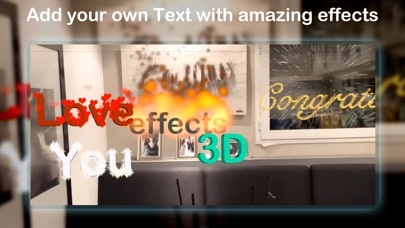 Customize your message with our selection of colors, fonts and special effects: Fire, Love, Winged, Rainbow, Clouds, Smoke, Glass, Rotating, Confetti, Stars, Cosmic Energy, Gold, and Flowers. 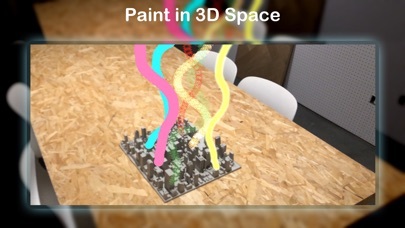 Unleash your creativity and paint in 3D anywhere you like with just your iPhone or iPad. Choose from a range of brushes and colors to paint objects and bring your masterpieces to life. No painting skills required. Caution: 3D Painting can be very addictive. 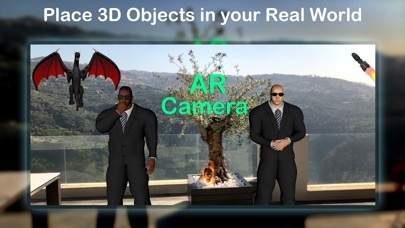 For the love of fire -- install your own fireplace, burn your real world with a flamethrower or virtually trap your friends with fire. 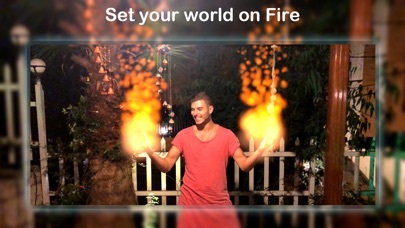 Get a kick out of shooting fireballs, creating fireworks or making it rain fire. 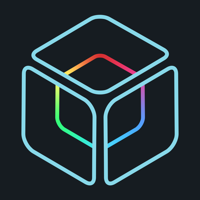 Create some smoke or draw circles, boxes, and lines of fire in any room or open space around you. Discover what it would look and feel like to have your own personal bodyguards, sing like a star with a golden mic or witness a flying saucer. Add an ancient touch to any space with the Columns of Olympian Zeus, or even freeze your friends with an ice cube! Spice up any dull space by cracking or blasting the floor, launching a rocket or creating a tornado. Experience the moon fracture, falling rocks or a meteorite impact. Not for the faint-hearted.